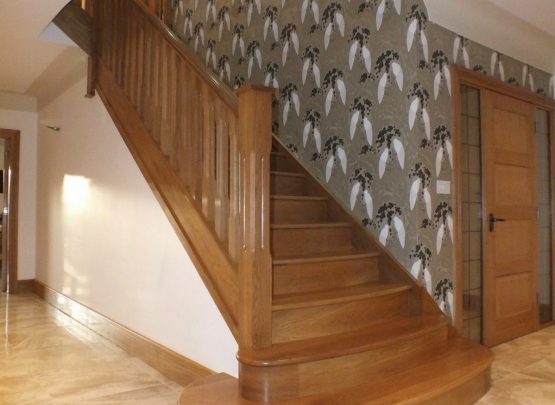 This staircase is special as it is the one we featured in our showroom and therefor we need something that is striking. 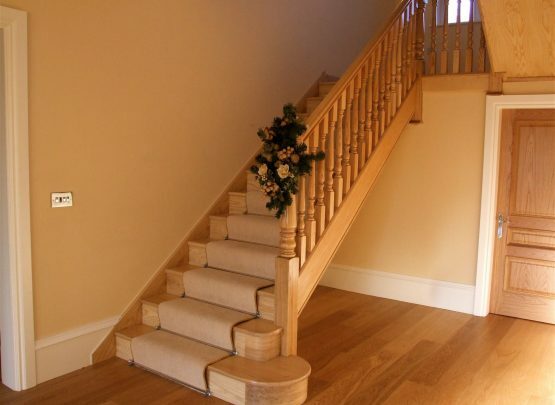 For the design we needed something that would stand out when customers arrive and show off how a staircase can change a room and be a useful component. 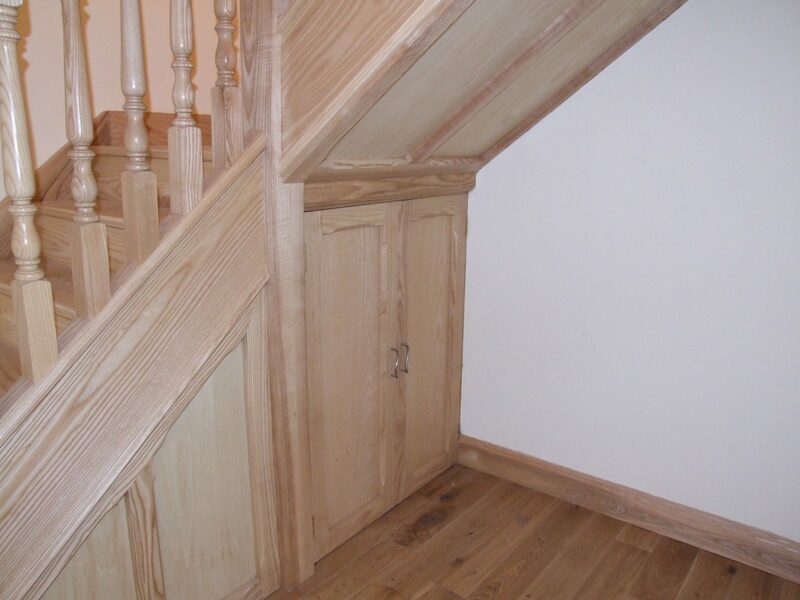 The first run is boxed in underneath to give under stair storage, with the second run being under-panneled and open to give the room more space. 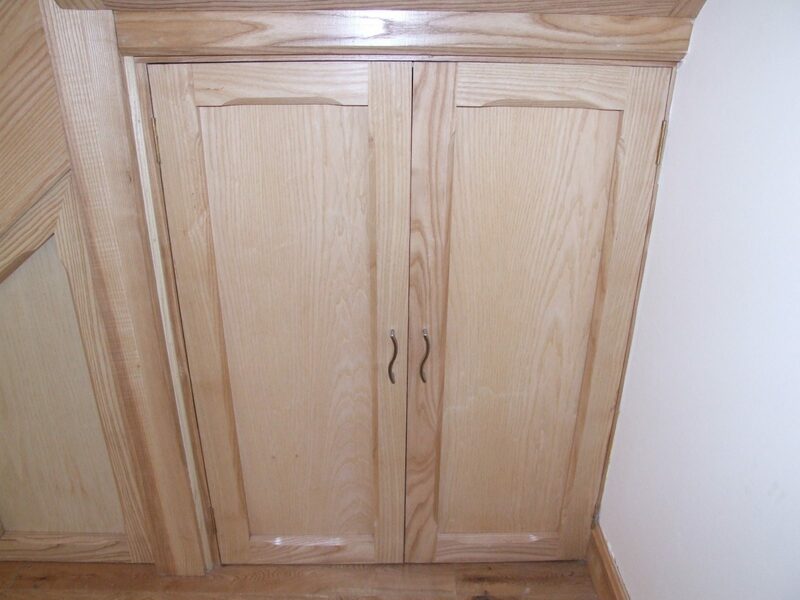 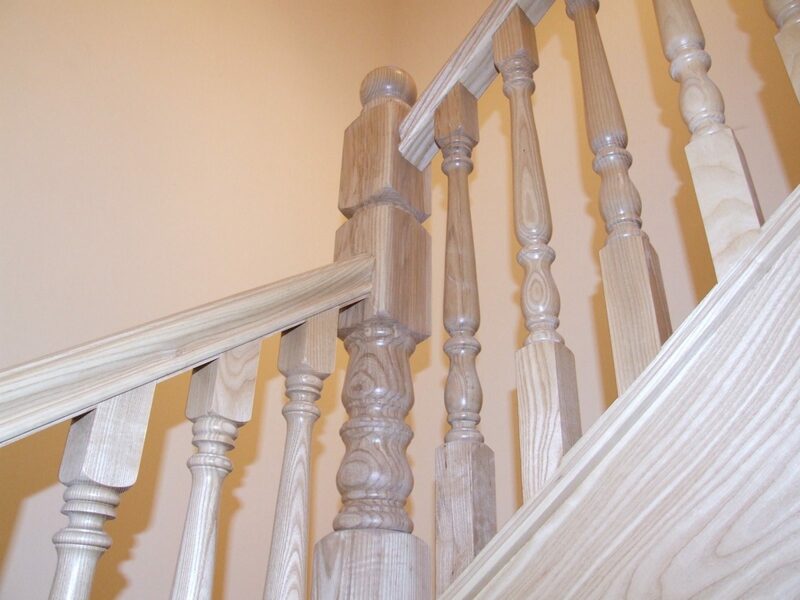 The style is Warwick which gives that traditional feel but with the chunky cross section you don’t get the overly ornate or delicate feeling. 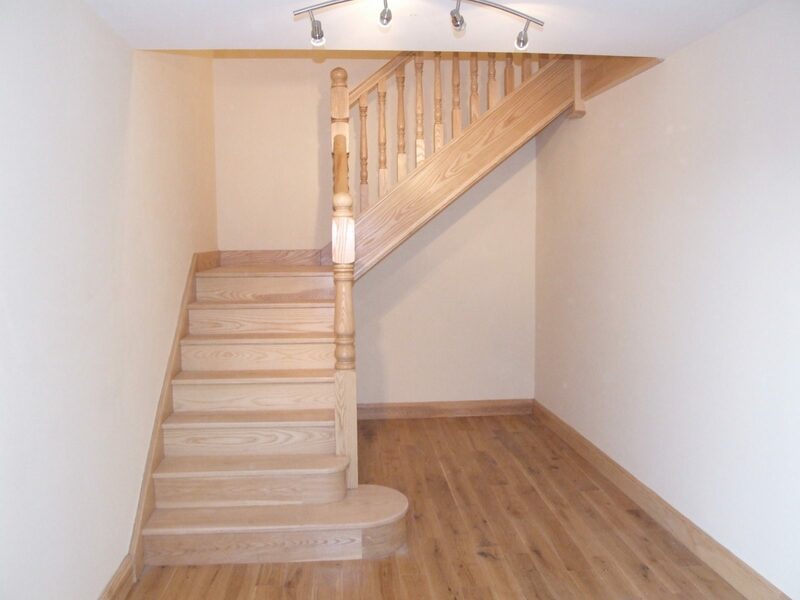 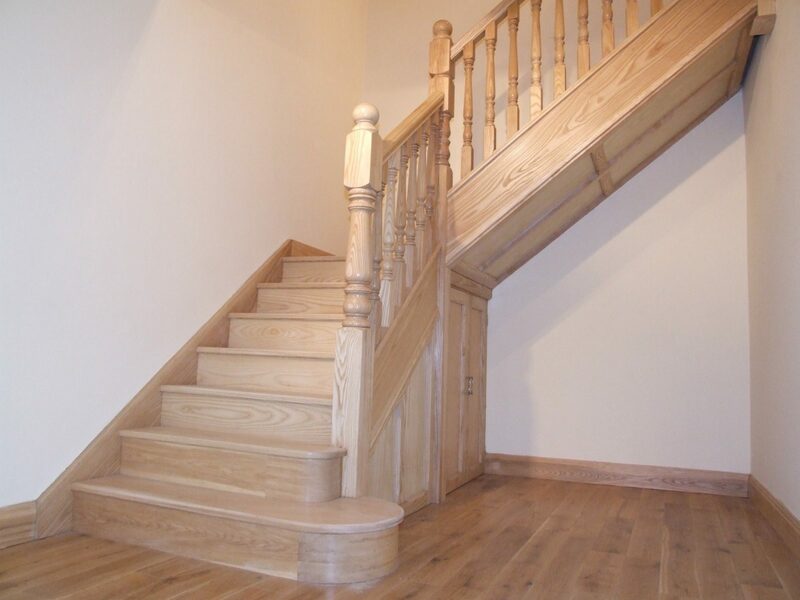 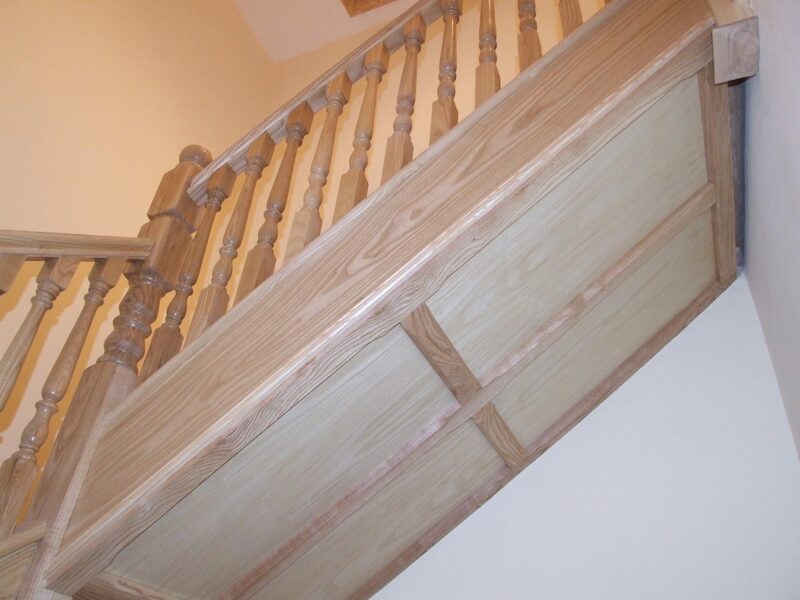 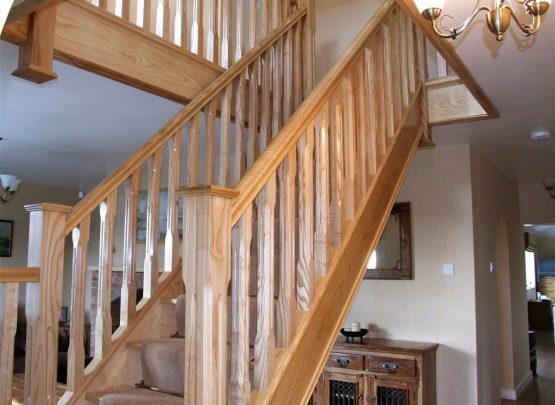 The timber we chose for this staircase is Ash because we believe it be be a cheaper alternative to oak, yet still offering good quality hardwood with an overall lighter and more open feel.